Whatever your ideal holiday, you'll find it all here. At the Toulson Court bed and breakfast, we strive to provide the perfect base from which to enjoy all that Scarborough and the surronding area has to offer. The entire guest house has been tastefully decorated and lovingly refurbished to the highest standards, with your comfort in mind. We pride ourselves on being able to provide you with all the comforts of home, with a warm and friendly atmosphere - a real home from home! Tripadvisor Travellers Choice Winners 2019, we finished in the top 25 B & Bs in the UK. Awarded 4th place Nationally in Trivago's Awards 2019 for Alternative Accommodation. Our 5 double rooms are tastefully decorated, all with en suite shower rooms, TV with Freeview and DVD player and a generous hospitality tray. Most double rooms also have a seating area. 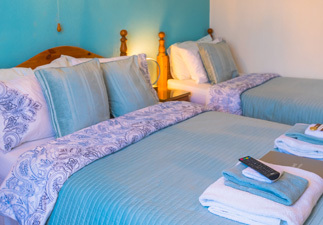 Our 2 twin rooms, including an ease of access ground floor room, are both tastefully decorated,with en suite shower rooms, TV with Freeview and DVD player and a generous hospitality tray. 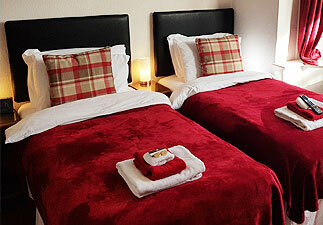 Our 3 family rooms have both double and single beds, including one room with separate bedrooms. 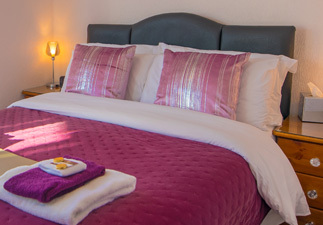 All rooms have en suite shower rooms, TV with Freeview and DVD player and a generous hospitality tray. "Weekend away Dropped on a right gem . Great location for everything in and around Scarborough. The B&B it's self is spotless. You arrive as strangers but leave as friends. We stayed in room 1 loads of room and everything you could wish for. The breakfast wow what can i say .Loads of choice fresh fruit and cereals . And the cooked breakfast is fabulous again loads of choice plus you get entertainment of the singing chef . Angela and James do everything they can to make your stay outstanding. We will definitely be going back. Cant wait. " "This B & B is a little gem! A fabulous, friendly b & b, which is spotlessly clean. Beautiful bedroom with a luxurious bed. All the little extras have been thought of and provided. Excellent breakfast, everything you could require. Hosts Angela and James ( the singing chef), are very welcoming and friendly. Nothing is too much trouble for them. We would definitely return." "Excellent Stay Number 1 place in Scarborough. it was our 4th time staying here and it just gets better and better Angela And James are fantastic hosts room was fantastic and clean the breakfast was lovely as usual, you should not bother looking for another hotel because once you stay here you wont stay anywhere else in Scarborough. " "You won't find a better B&B run by nicer people. Breakfast was yummy. A choice of cereals, cooked breakfast, yogurts, fresh fruit, fruit juices, tea, coffee, homemade preserves. You couldn't ask for more. Cooked perfectly by the singing chef! We didn't need to eat any lunch as we were so stuffed from breakfast!! We 100% recommend and we will be back! " "Best B&B we've stayed in! We booked last min online and couldn't have been better. We had the warmest of welcomes, our family room was absolutely stunning. The whole place was spotless and everywhere smelt lovely! " "You get spoiled by Angela and James and the whole place is spotlessly clean and the food is second to none and as I and my sister are both vegetarian we agreed that this is the best full English breakfast we have ever had when away from home." "If you're looking for somewhere to stay in Scarborough........book here! Angela & James are very welcoming & do all they can to make your stay very comfortable." 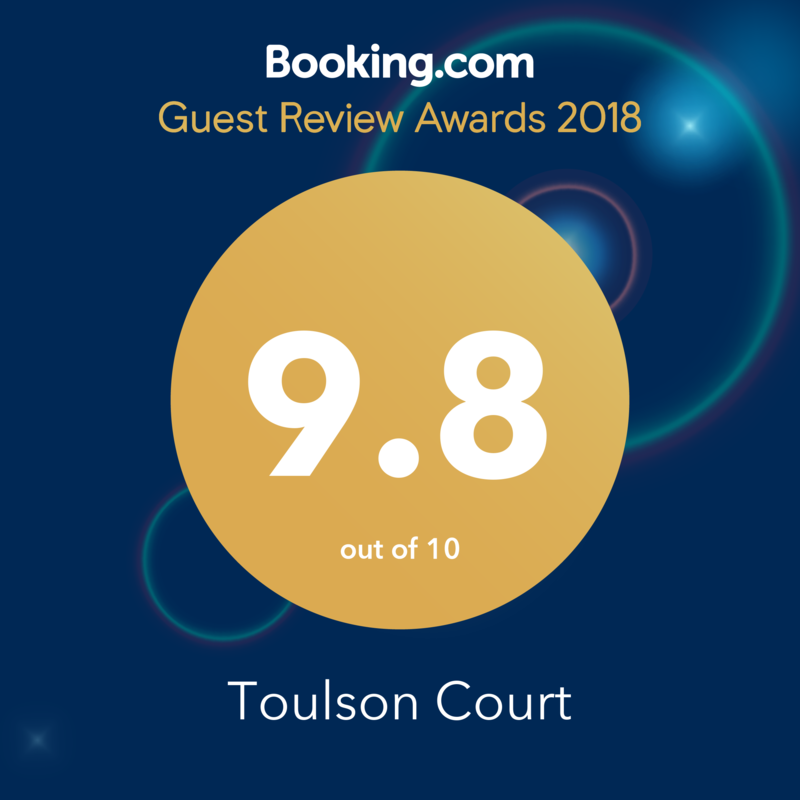 "Toulson court definitely deserves it's first place on trip advisor, a warm and friendly welcome awaits by James and Angela who can't do enough to ensure that all needs are met throughout your stay . The rooms are spacious, extremely clean and have added little touches that takes this lovely guest house into another league. The breakfast is amazing, with an extensive menu. The atmosphere and friendliness was contagious and made for a very enjoyably stay. Well done!!!! all your hard work is paying off, and we really can't wait for our return visit." "Loved everything! Angela & James made our wedding day so Special. Brilliant." "Very welcoming. Amazing, lovely accommodation defo be back. Thanks "
"A fantastic stay, Angela and James made everything A1. Breakfast superb, brilliant hosts. Highly recommend, we loved it! Cant wait to return." "Fabulous. It's a 10 from Len!! :-)"
"4 years on-trot we've been here, recommend to everyone"
"Very warm welcome, superb stay, Thank you"
"Wonderful place, Lovely breakfast, kind and helpful owners, don't want to leave!! will be coming back."